I love the Winter Garden. 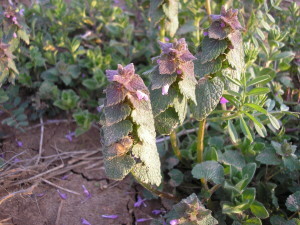 For the most part, with the exception of henbit, weeds are not very invasive, frost has made fresh greens sugar sweet and cooler temperatures bring a brisk freshness to the air that invigorates the body. 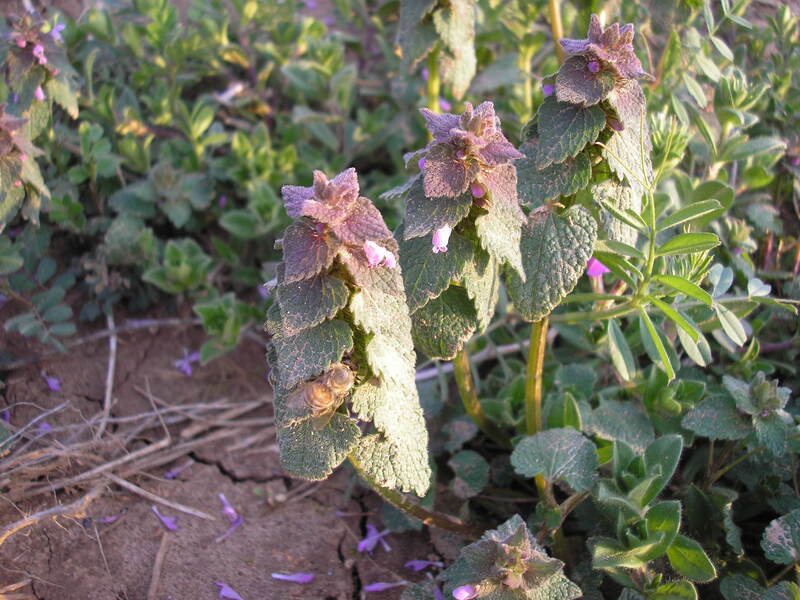 Since henbit is an important early food for honeybees, I try to ignore it and concentrate on all that is “important” food for our family. On the last day of 2013, with mild temperatures and bright sunshine, I gathered baskets of deliciousness. Green garlic, that wonderful perennial bulb that has a milder pungency than its supermarket counterpart, was easy to dig from the soft ground. 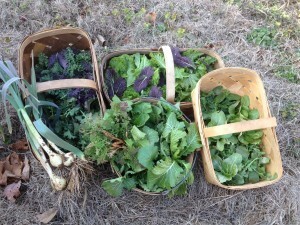 Six different varieties of kale, spicy arugula and mustard greens, baby bok choy, tiny carrots in a rainbow of colors, turnips and incredibly nutty, sweet spinach filled my baskets and I could not wait to prepare some special dishes. Just before leaving, I cut some fresh parsley to take along. As I tasted each treat, I marveled at the crisp leaves, full of juice, and paused, for perhaps the millionth time, to be grateful for this farm. Back at home, I carefully washed and stored each seasonal item, with the exception of seven small green garlics. Leaving them whole, I scrubbed the bulbs and trimmed off the root ends. I stretched them on aluminum foil, drizzled the bulbs and green leaves with extra virgin olive oil and wrapped them in a foil packet. Since they were so fresh, it only took about 40 minutes to roast them in a 400 degree oven. When they were soft and pungent, I allowed them to cool. For some time, I have been planning a roasted garlic pie in my mind and these beautiful bulbs became the cornerstone of a recipe I created. Feel free to substitute dried garlic bulbs from the grocery store, but if you are fortunate to find fresh green garlic, you just might discover a new love. If you use dried garlic, squeeze out the soft cloves and discard the rest; fresh garlic is used whole, including the green tops. This version is vegetarian, but for those who wish to add meat, one cup of roasted chicken, cut into bite-sized pieces, would be a nice addition. Use a refrigerated pie crust or make your own and place in a 12-inch pie dish that has been sprayed with vegetable spray. Mix all ingredients in a large bowl and pour into prepared crust. Bake in a preheated, 375 degree, oven for about 40-50 minutes. Check for doneness when center is set and does not jiggle. Serve warm or at room temperature. On January 1, 2014, I cooked a mixture of mustard, kale and turnip greens to take to my parents’ home for the traditional New Year’s meal. 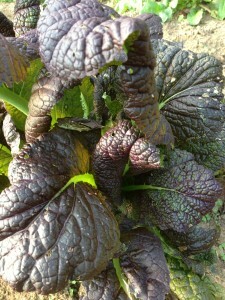 Japanese Red Mustard is one of our favorite greens and it is spicier than curly green mustard. Although the leaves are a deep purple color, they turn green when cooked and add flavor depth to the green mixture. For a vegetarian version of this recipe, omit the pork and bacon fat and saute ½ cup diced onion in a tablespoon of olive oil, then deglaze the pan with the wine and follow the recipe. In a large Dutch oven, heat the bacon fat over high heat. Season the pork with salt and pepper and sear all sides in the hot bacon fat until lightly browned all over. Remove meat from pot and lower heat to medium. Carefully pour wine into the pot to deglaze, using a wooden spoon to scrape all bits that stick to the bottom of the pot. Add seasonings and allow to cook over medium heat until slightly reduced, about 10 minutes. Add pork to the pot and cover the meat with as many greens as the pot will allow. Cover with the lid and allow greens to wilt. Continue adding greens as space is available until all are in the pot. Cover and cook over low to medium heat until the meat is tender and can be shredded, about an hour and a half to two hours. Check often to be sure there is some liquid in the pot. If the greens become dry, add water or chicken or beef stock, ½ cup at a time. Adjust seasoning as needed. Before serving, shred the pork and stir to combine the greens and meat. Serve with hot cornbread. The baby bok choys next called to me and I decided to incorporate them with the tiny colorful carrots in a stir-fry dish. We visit the North Carolina coast as often as we can and always bring home fresh shrimp to store in the freezer. For this recipe, I thawed one pound of beautiful native NC shrimp and peeled them. If this dish were served to guests, I would devein the shrimp, but since it was just Richard and me, I only peeled them and gave them a quick rinse. In a large skillet, over high heat, add 2 tablespoons olive oil until hot. Add rice and shake to remove excess moisture. Lower heat to medium high and make a well in the center of rice and add shrimp, cooking until shrimp are turning pink on both sides. Quickly add squash, asparagus, onion, leek and carrots. Stir to combine and cook for about 1-2 minutes. Add Bok Choy greens and stir to wilt. Remove rice mixture from heat and stir in corn kernels. Season with salt and pepper. *If you like spicy foods, serve this with your favorite hot sauce. I make my own with firey hot heirloom peppers. Soy sauce may also be added to individual servings. I consider it almost a sacrilege to cook fresh spinach from my garden. It is incredibly sweet and nutty in its pure raw form and we often enjoy it in salads and on sandwiches; however, if I choose to use my spinach in a recipe, Giada De Laurentiis’s “Penne With Spinach Sauce,” found on the Food Network’s website, www.foodtv.com is worthy of my spinach. Be sure to liberally line the serving bowl with fresh leaves and stir the hot pasta with them just long enough to allow them to wilt slightly. Today is Richard’s birthday and we are celebrating at home with a quiet dinner. That fresh arugula from the farm is going to be the base of a salad and I am pan frying NC softshell crabs that have been in my freezer since their season ended. A special surprise will be his favorite cheesecake, a pineapple one that I will serve slightly warm from the oven, just like he prefers it. The salad recipe is my version of a dish we enjoyed while visiting friends, Kim and Jeffrey, in Ft. Lauderdale, last November. Fresh arugula is my favorite salad green and the lump crabmeat I use is a North Carolina ingredient that is canned and kept refrigerated. I make my own tartar sauce with fresh parsley, which I think really makes a delicious difference. Shake all ingredients in a small glass jar and use to dress arugula. 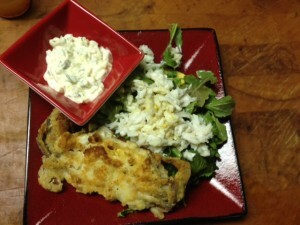 Top each salad with a large scoop of lump crabmeat and add a final drizzle of dressing to top the salad. Mix all ingredients together in small bowl and refrigerate overnight. I will serve my final ingredient from the Winter Garden bounty, turnips, with a pat of local butter and a scattering of French grey sea salt. Smear the scrubbed baby turnips with a tiny bit of butter and then dip into the salt. There is no better way to enjoy these tasty treats. 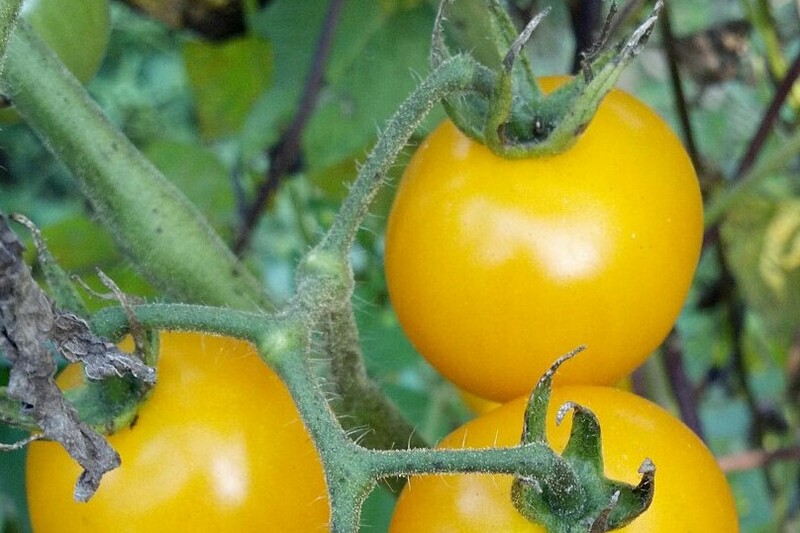 This entry was posted in Heirloom Seeds on January 7, 2014 by cindybarlowe.